When Yotam Ottolenghi and Helen Goh met, it was a culinary match made in sweet-filled heaven. 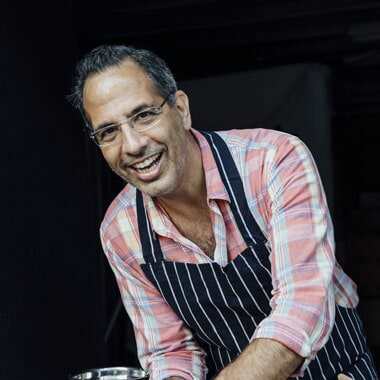 Yotam Ottolenghi wasn’t supposed to be a chef. He was supposed to be an academic like his father and grandfather before him. He certainly has the intellect, having written a masters thesis in philosophy and comparative literature. But Yotam’s take on creating ‘the good life’ was fed by his lifelong passion for food and eventually he couldn’t resist his kitchen calling. After training at Le Cordon Bleu in London in 1997 and working as a pastry chef at the Michelin-starred The Capital Restaurant, two years later he became head pastry chef at Chelsea’s Baker and Spice. Another three years after that, he opened the first Ottolenghi deli in Notting Hill. Today, there are three more Ottolenghi delis in London, as well as a restaurant, NOPi. He has a regular column in The Guardian, and has written six cookbooks. 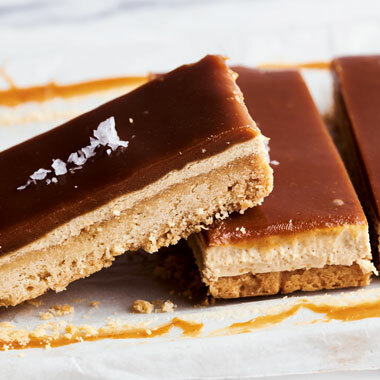 The most recent of his books, Sweet, a baking tome filled with biscuits, cakes, tarts, pies, desserts and confectionary, Yotam co-authored with Malaysian-born Australian-raised pastry chef, Helen Goh. While the book is a recent release, their culinary collaboration goes back over 10 years to when Helen moved to London. At the urging of a friend to check out the Ottolenghi deli, Helen fired off an email to Yotam, they met, and a wonderful partnership began. Helen became product developer and Yotam recalls how she would walk through his door on a Sunday afternoon, “like a gust of wind or, rather, an over-zealous dusting of icing sugar, carrying more brown carton boxes than humanly possible.” A slew of apologies would follow for how many of her cakes had failed (Helen is a perfectionist) before they would settle into a session of ‘Ottolenghifying’ her creations. Another thing you’ll find in Sweet is a fair dose of Australia. Having done her training and enjoyed success as a pastry chef here, Helen has been inspired by some of our greats. There are cakes based on creations by Stephanie Alexander and Belinda Jeffrey, not to mention versions of yo-yo and Anzac biscuits.